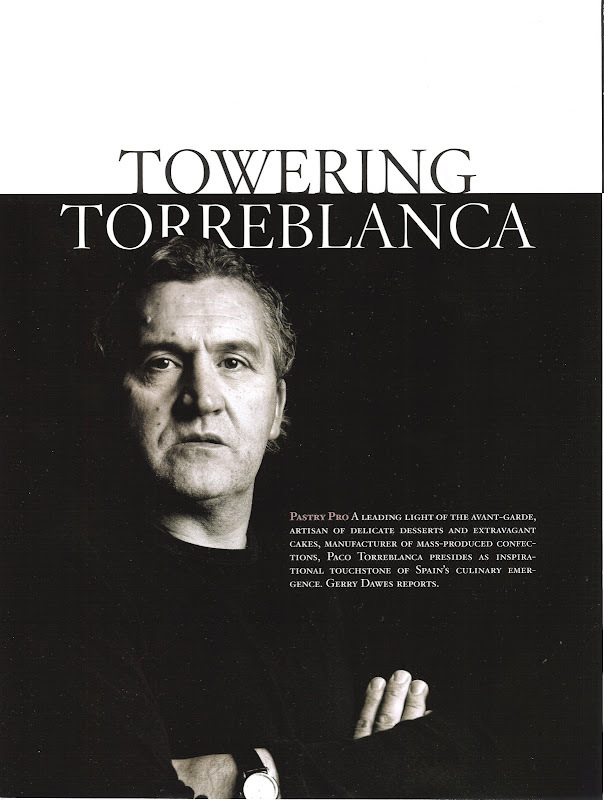 Feature on Paco Torreblanca in Food Arts Magazine. Paco Torreblanca in front of the ancient olive tree growing in his Totel chocolate and desserts plant, Monover-Elda, Alicante. Dawes Bio, Awards, Quotes from Famous Chefs and Culinarians, etc.